This is the second in a series of posts on DigLibArts 2020 Initiative (dla2020) in support of sustainable innovation in the liberal arts. What is digital well-being, and how does it relate to the liberal arts? Digital well-being can be defined as the ability to define and develop a nurturing personal and/or community cyberinfrastructure. This goal articulates one facet of Whittier’s mission to “prepare students from diverse backgrounds to excel in a complex global society” by empowering individuals and groups to become “active citizens and effective communicators who embrace diversity and act with integrity” in digital spaces. 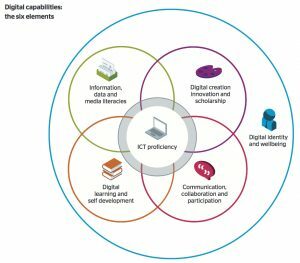 How might digital well-being promote liberal arts learning and outcomes? Pick almost any topic you care about. It is probably related, somehow, to one of these areas. DigLibArts offers support for you to pursue your own ideas, plans, and projects that contribute in any way to the broader goal of enhancing digital well-being for all campus members. 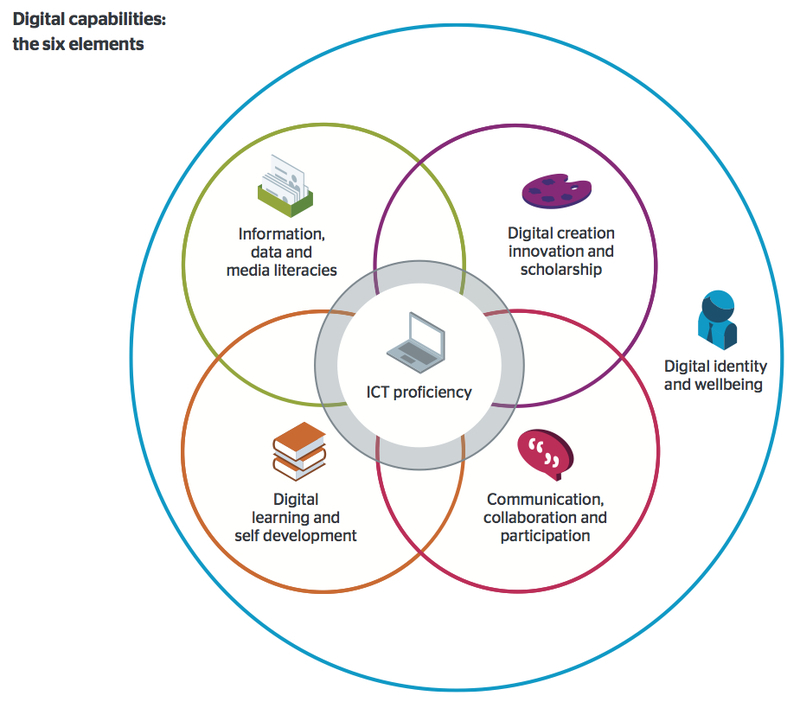 Below are just a few ideas, color-coded to the digital capabilities diagram for explanatory purposes only. What’s digital got to do with our discipline or major? What counts as digital scholarship in different fields? for promotion? How can we reduce email overload? Want more information, or to learn how to begin your own learning community, or join one? Please contact Nat Zappia, Bill Kronholm, Geoff Long, Joanna Diaz, or Andrea Rehn, or all of us together. We’d love to help!